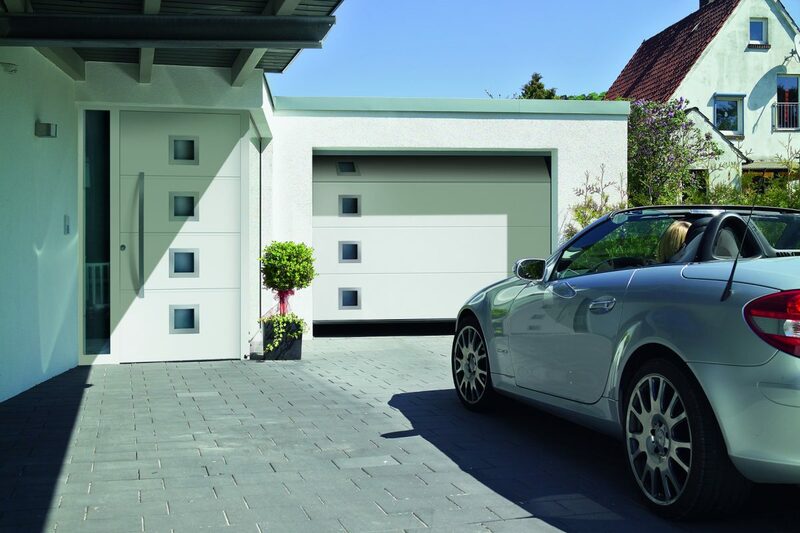 Sectional doors are space-saving allowing you to park right in front of the door. 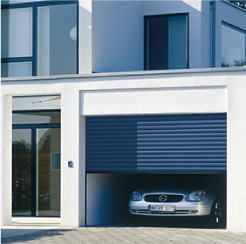 These can also be fitted to any opening shape because they are fitted behind. 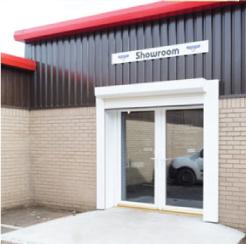 Automatic sectional doors are great for security as they are sealed at the top and sides. 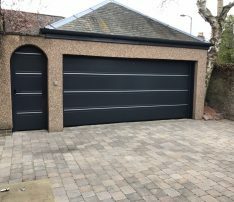 Sectional doors need little maintenance, just a service once a year before the bad weather comes. 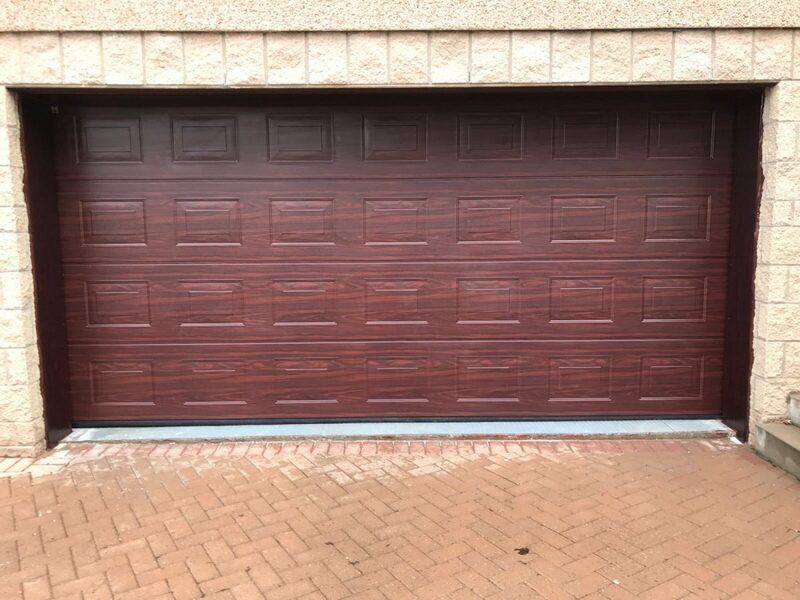 To find out more about how a sectional garage door works and to look at the safety and security features check out the video. 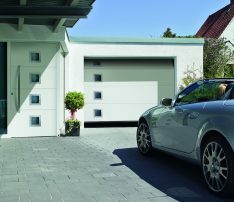 It shows Hörmann’s automatic, insulated sectional garage door in the Large Ribbed Silkgrain design. 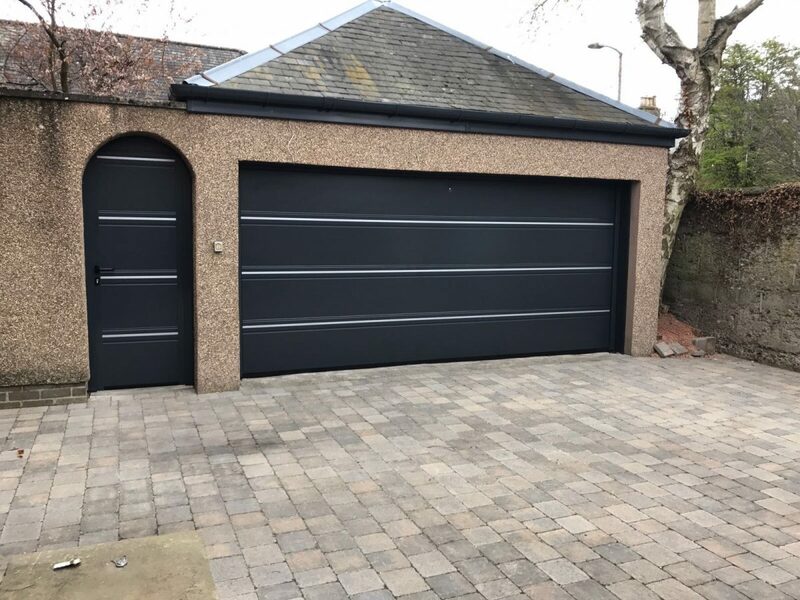 Hormann Sectional Garage Doors are available in two panel thicknesses, and a timber option, allowing you to keep your home warm if the garage is attached or you can even use your garage as a functional gym/play room! 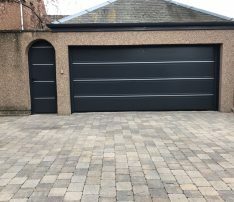 If your garage is away from the house and you wish to use it in the traditional way, then the single skinned one may suit. 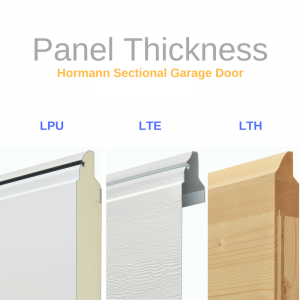 Single Skinned LTE – Non-Insulated – the least expensive and does not provide much insulation. 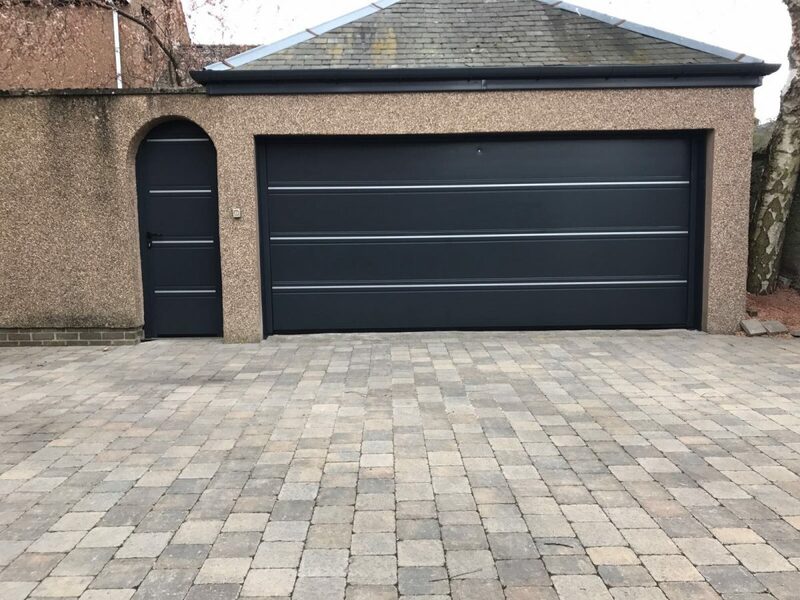 This is one sheet of steel with no in-fill. 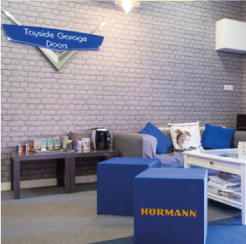 See Hormann’s brochure for the full information. 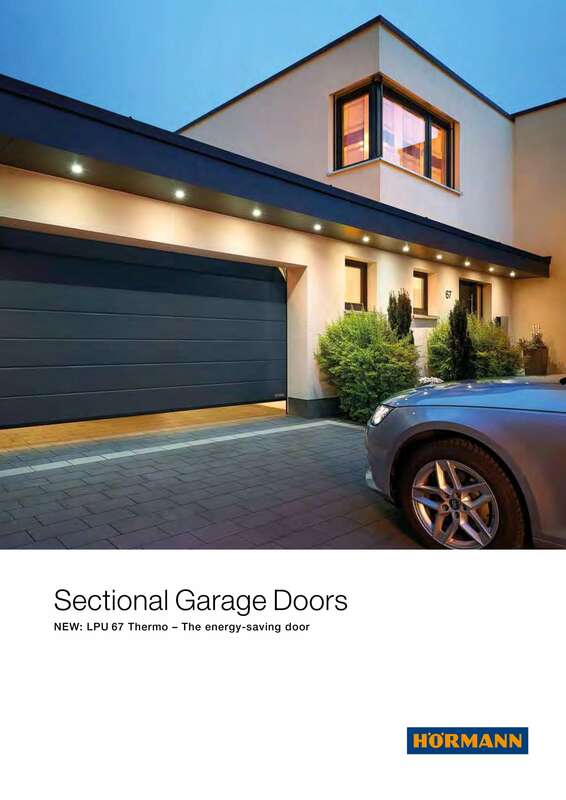 Double Skinned LPU – The best possible insulation. 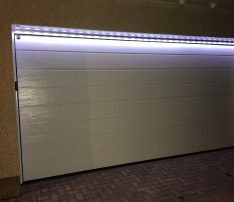 Recommended if you want to use your garage as a hobby room or if you have a room above. This option will also help lower your energy costs and reduce your carbon footprint. 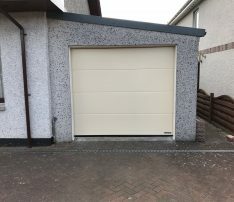 This door is 42mm think with a PU foam sandwiched between the steel. 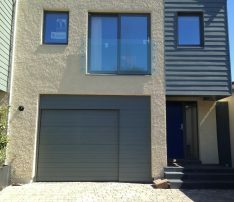 Timber LTH – Solid timber panels in Nordic Pine or Hemlock. 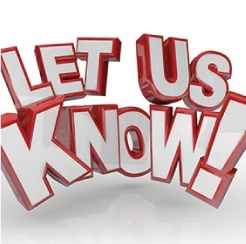 These can have granite inserts, many designs with even the option to design one yourself! 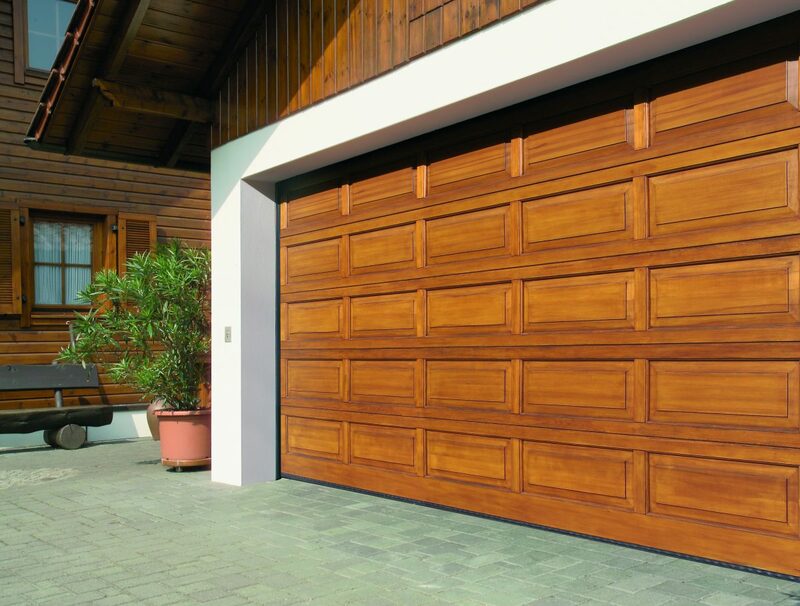 These can also be stained in the factory so you don’t have to do it yourself. 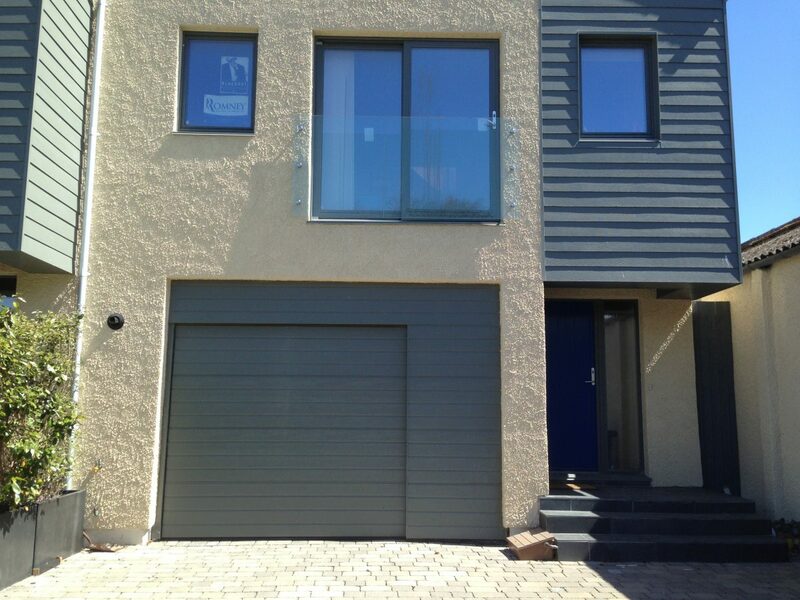 This door is simply stunning, thanks to the offset, flush-fitting glazing. 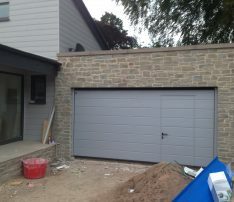 The frame profile is concealed, so nothing detracts from the appearance. A real must-buy product if you are design conscious and like a glossy finish! Certainly one for for people who like an exclusive look. 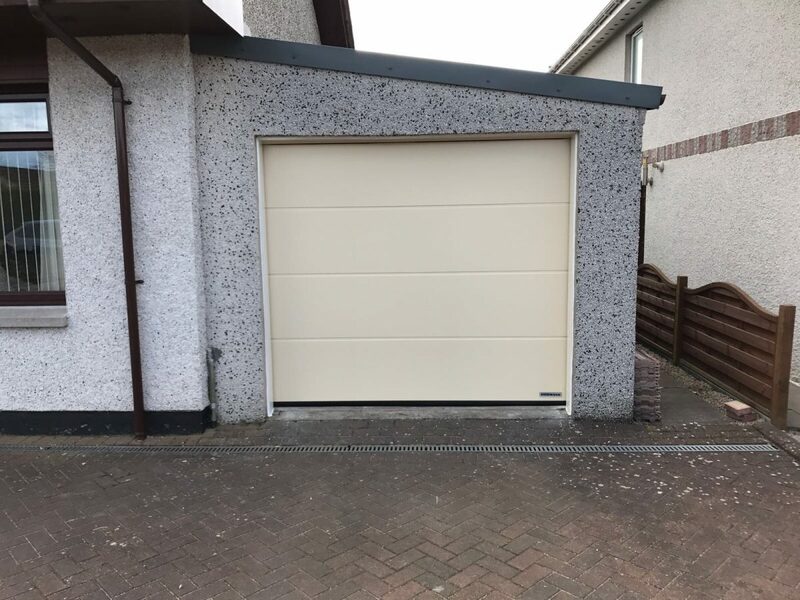 This product can also have on site cladding which means you can have the door match the cladding on your building, this can be ceramic, timber, metal even plastic, so this would give you a seamless look across the whole building effectively hiding the garage door! 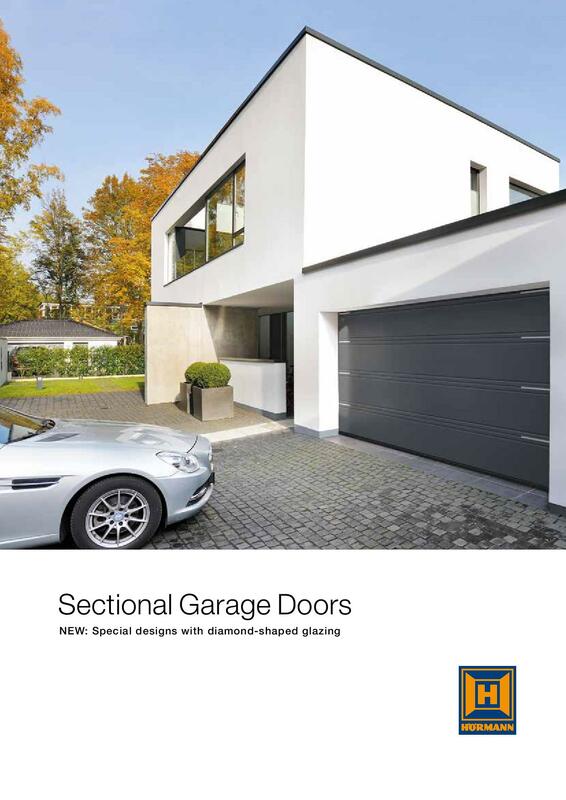 Panels are available in small, medium and large ribbed designs with a new double and triple rib design that came out in 2016, please see the brochure for extensive examples. 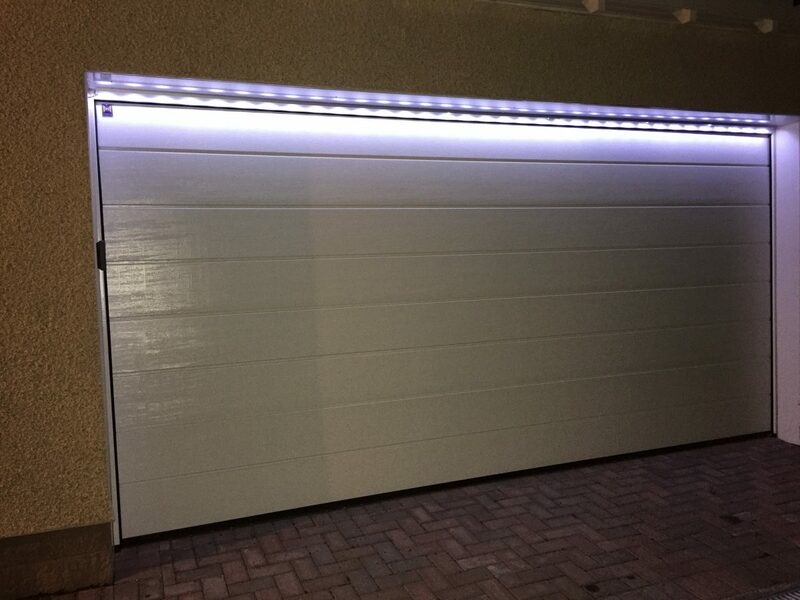 These can also come with glazing or a selection of decorative fittings for timber doors. 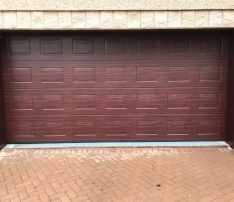 Sectional garage doors also have matching side doors to complete the look. 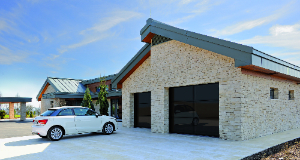 Brochures are available see link below. 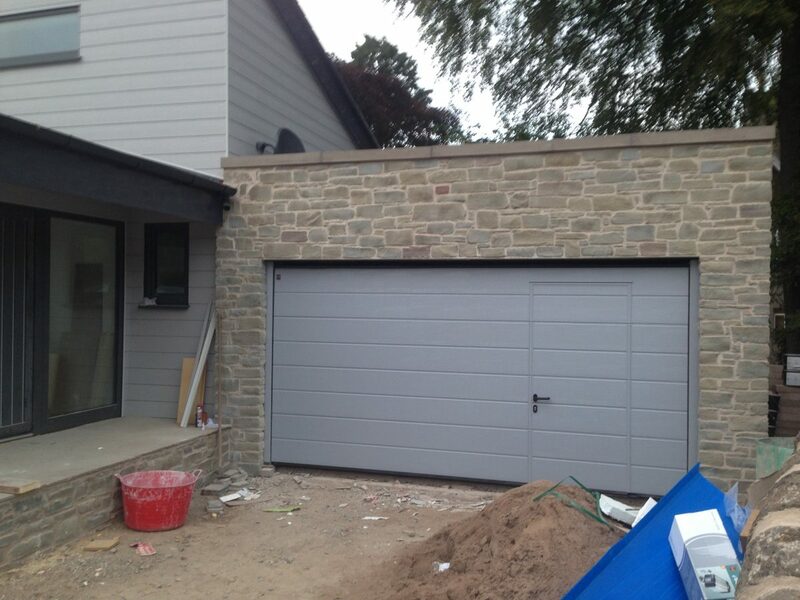 Hormann Sectional & matching side door used as a gate!